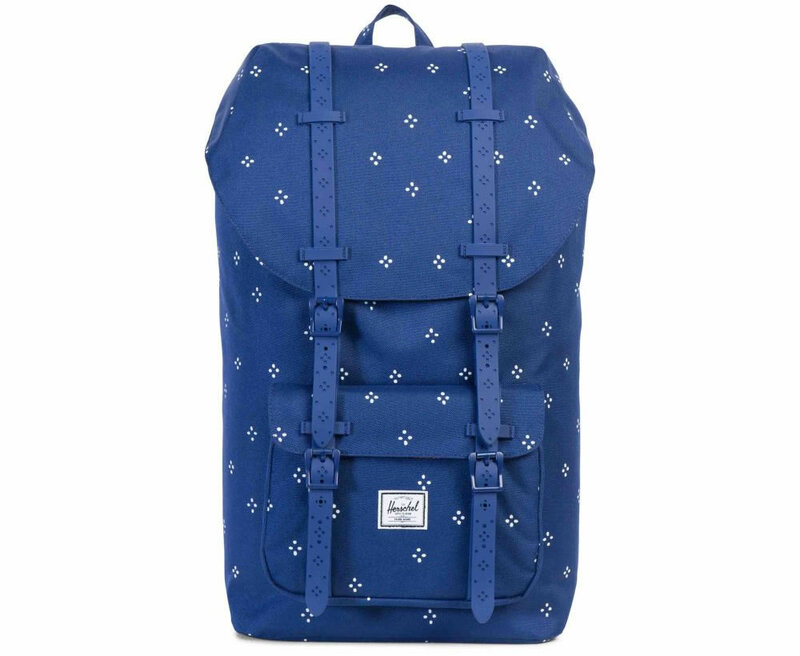 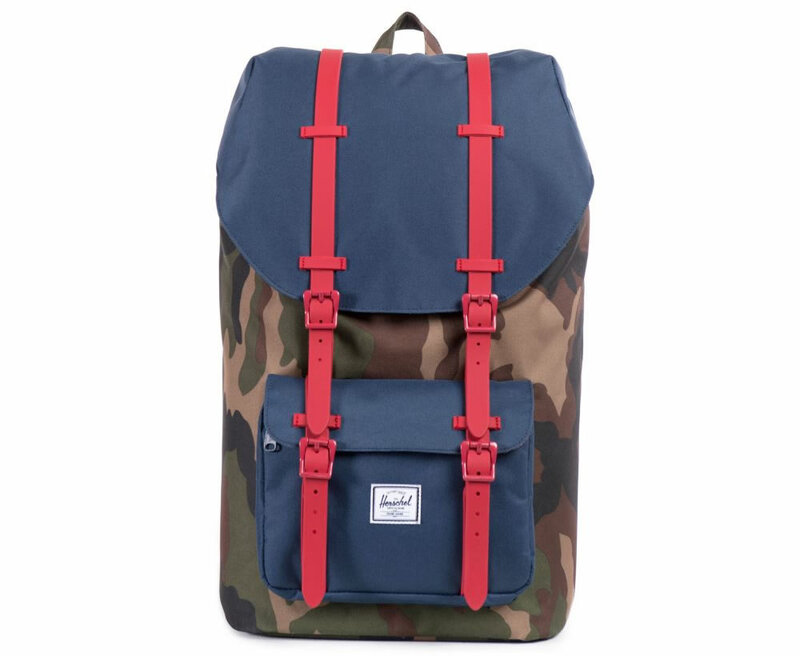 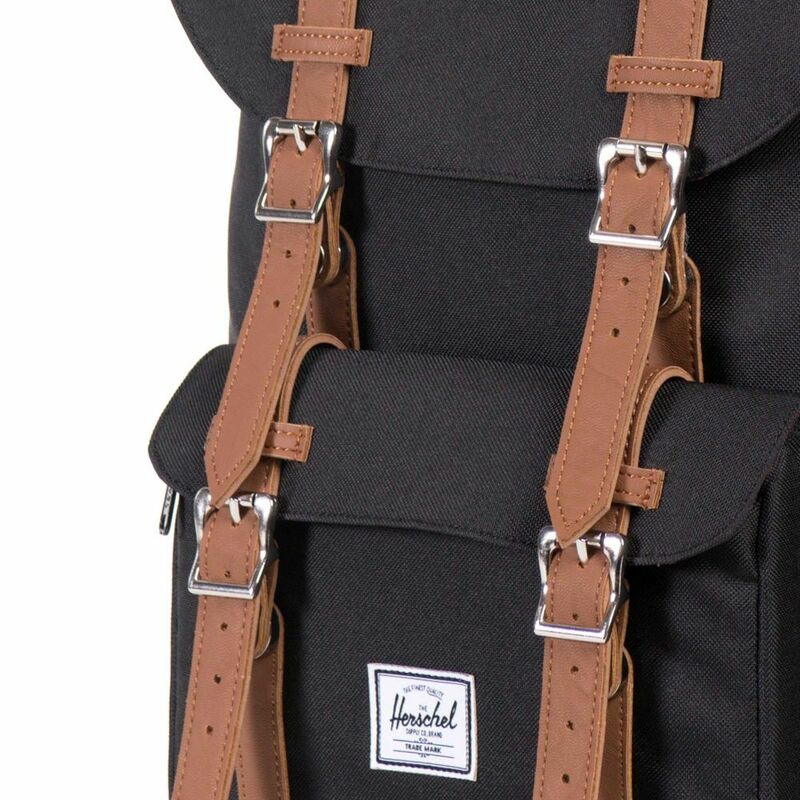 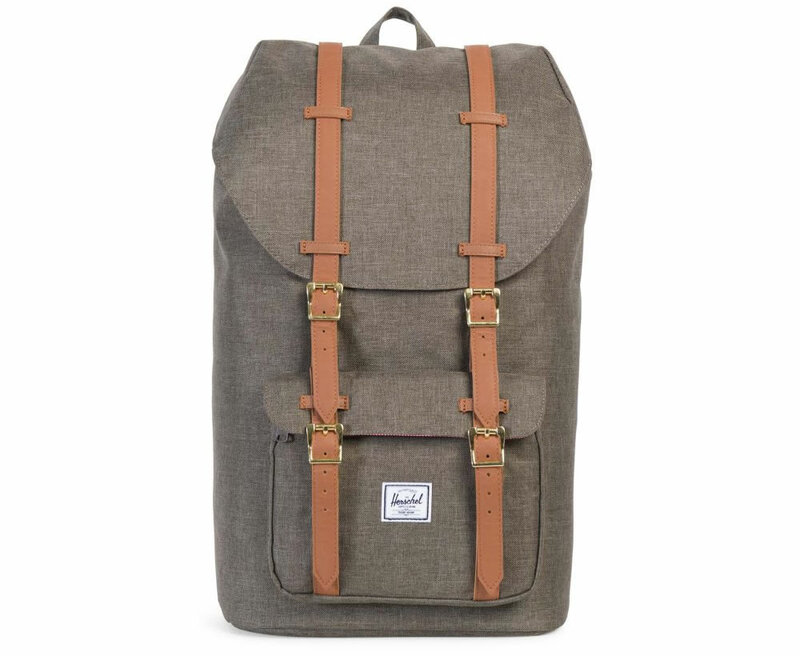 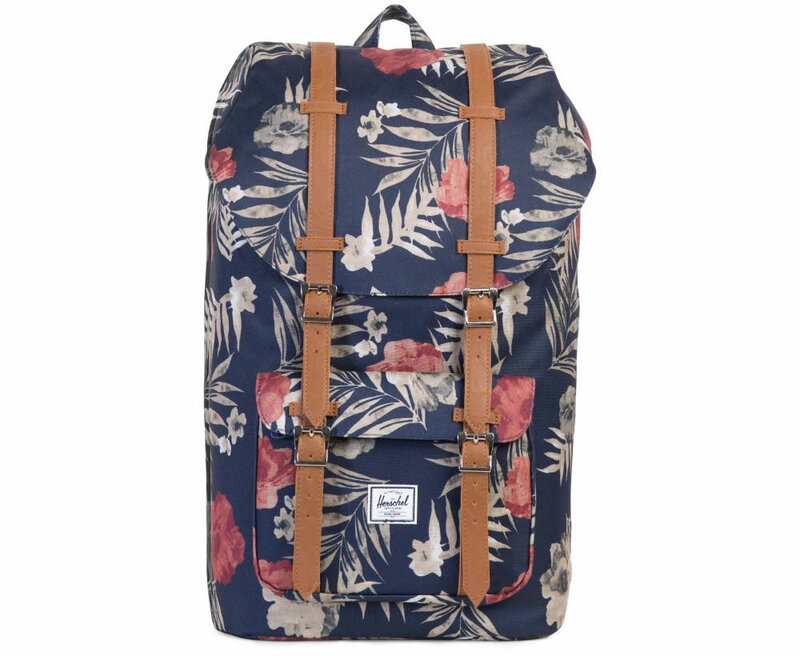 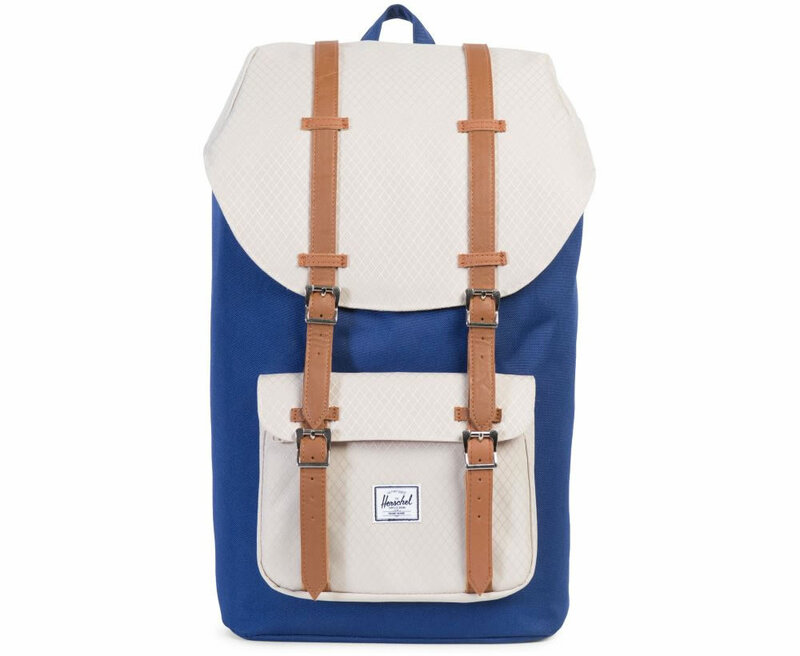 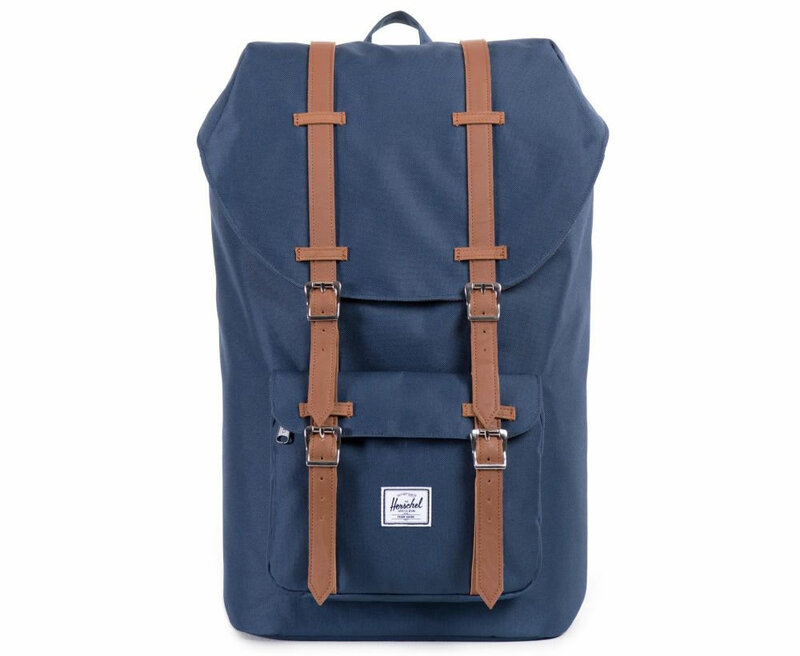 Displaying a retro-inspired look, this Little America Backpack by Herschel Supply was created specifically for those of you who move around a lot and need to carry many things. 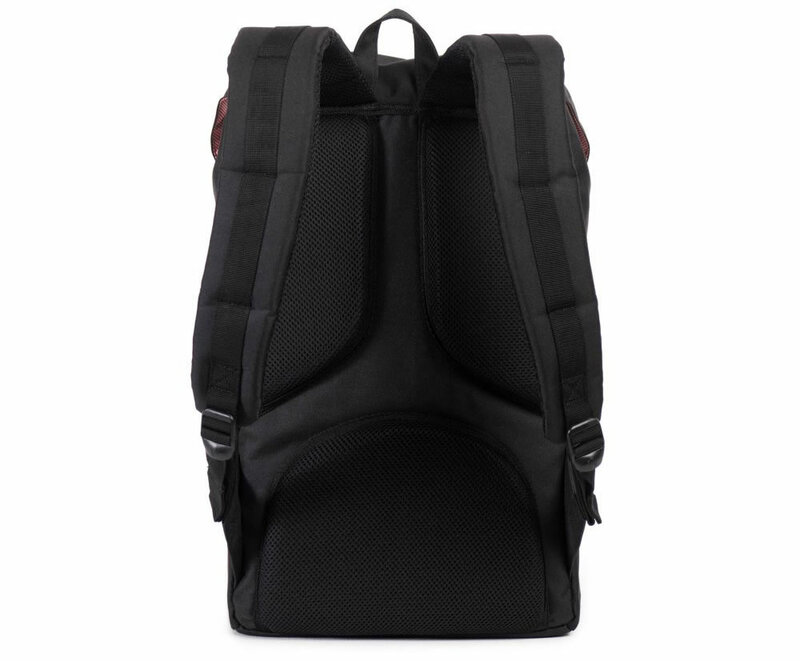 Boasting functions of a traditional mountaineering backpack, the Little America Backpack offers a carrying capacity of 25L, and it weighs 2 lbs. 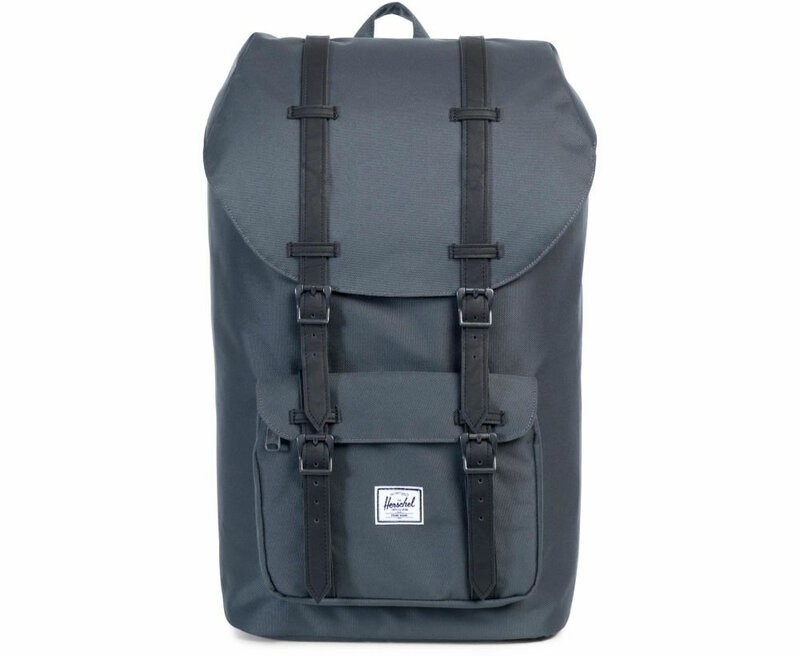 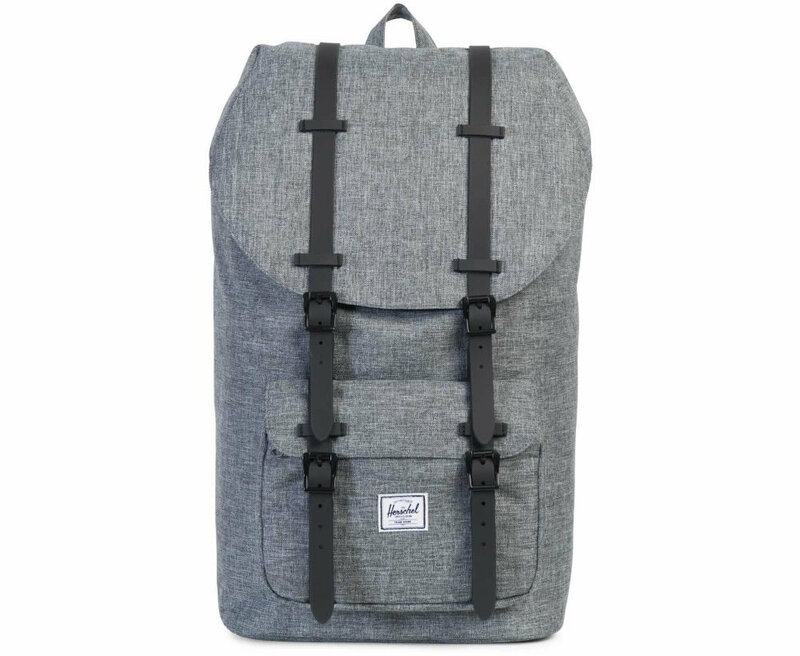 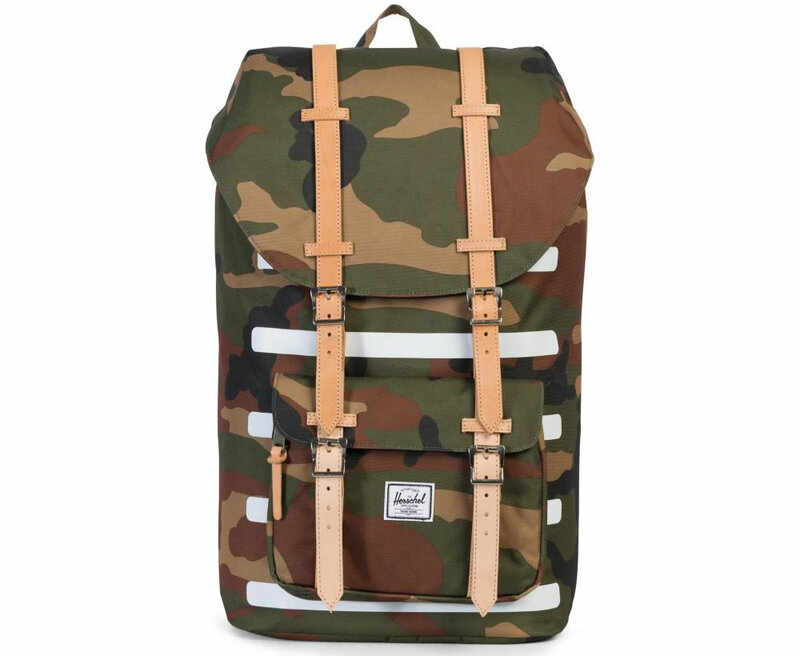 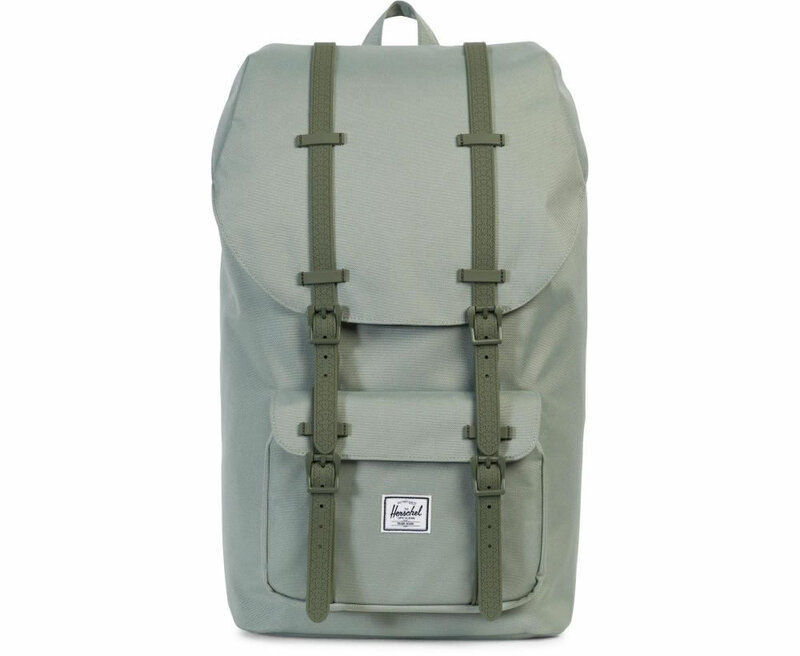 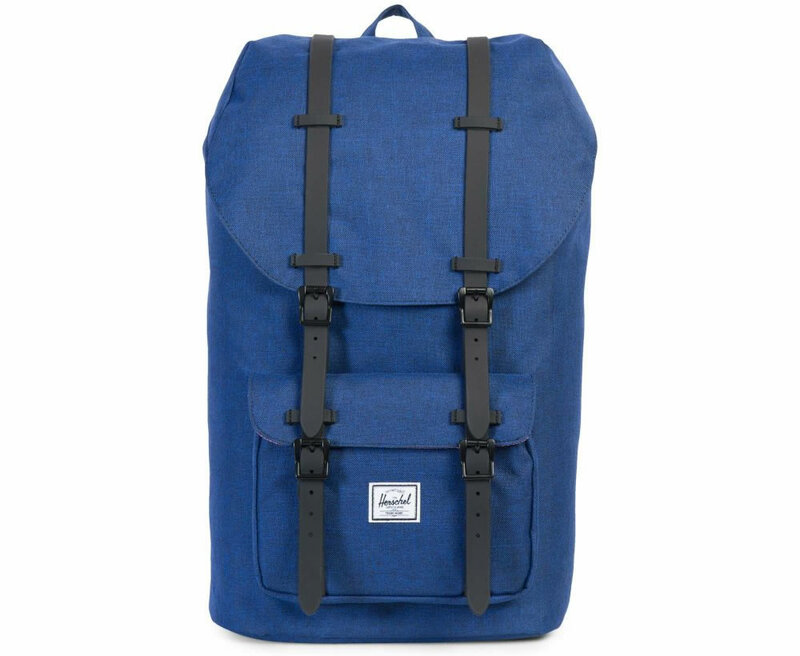 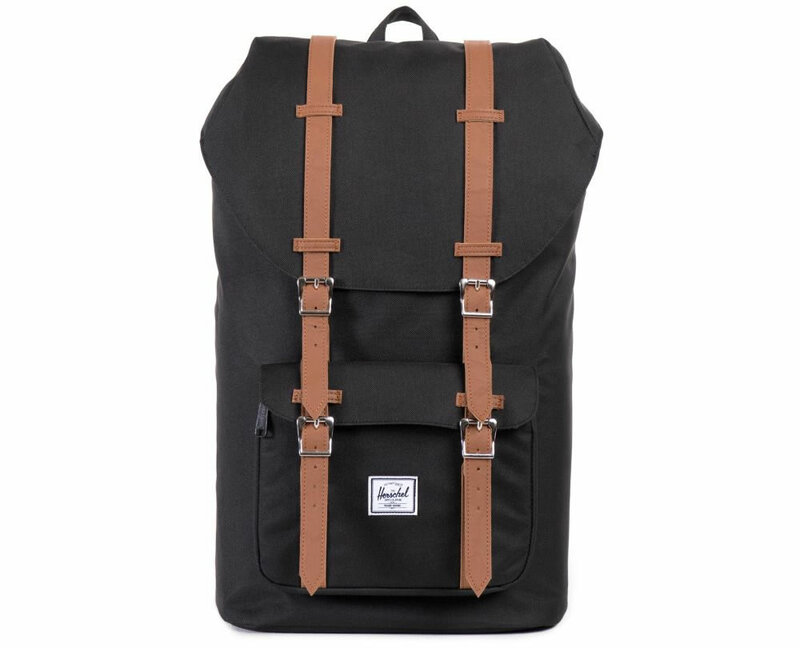 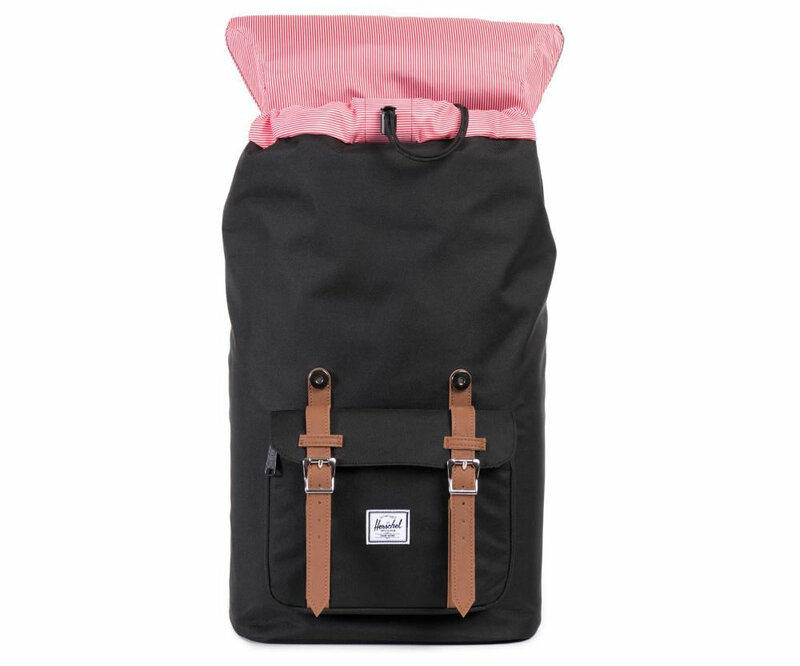 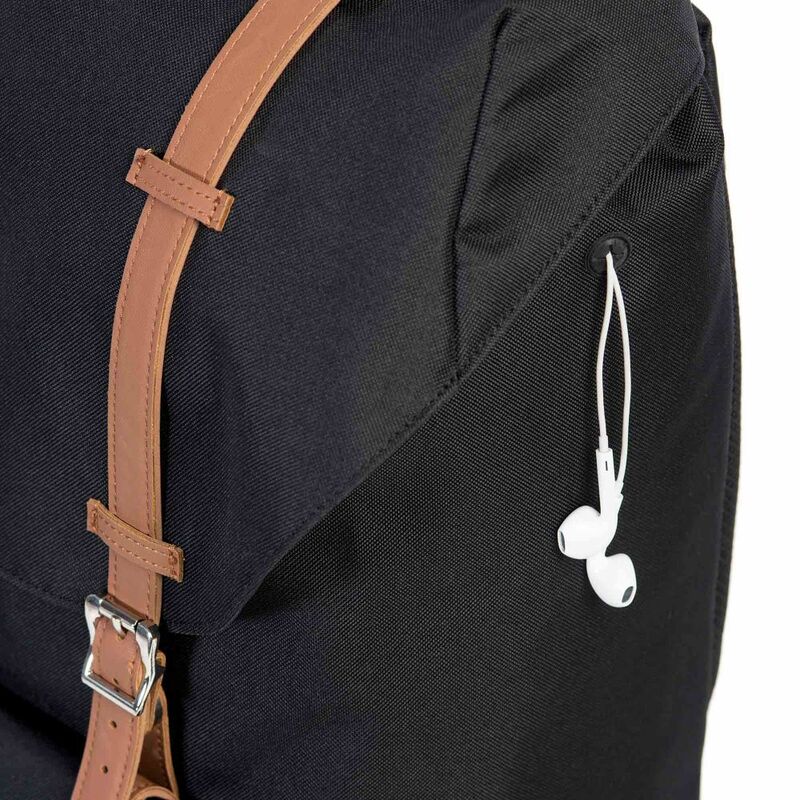 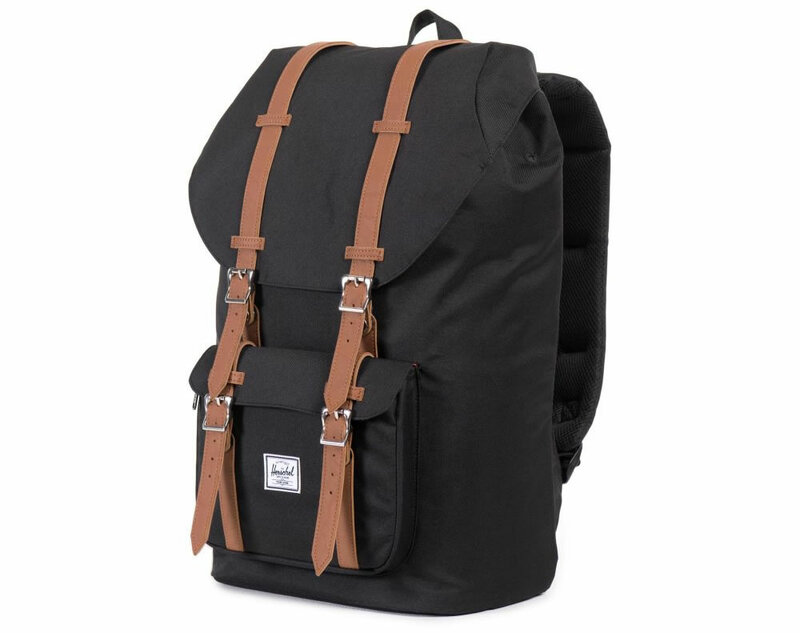 Created using a very durable polyester material, this backpack features a 15″ padded laptop sleeve, an internal media pocket with headphone port and a front pocket with hidden zipper and key clip that enables quick and easy access. 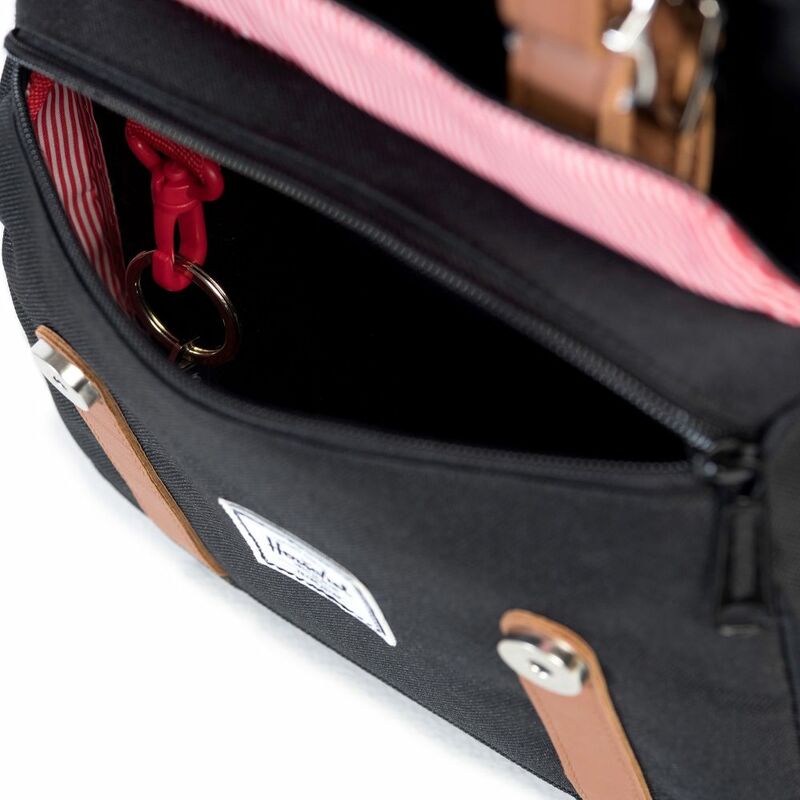 Thanks to its adjustable contoured padded shoulder straps and top handle, it is incredibly comfortable and easy to carry, and its magnetic strap closures with metal pin clips can be used to secure valuable items. 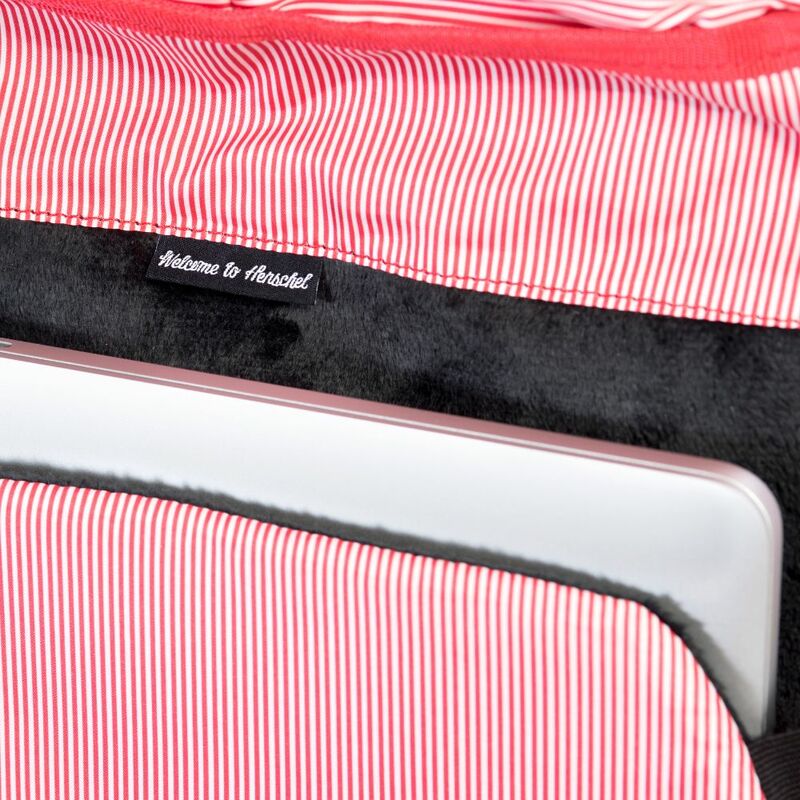 Last but not least, we should mention the air mesh back padding, which provides comfort and top class ventilation.